By David M. Huntwork, Op-Ed: President Obama and his progressive allies have recently told us that even the most draconian of gun laws must be passed because “If we save even one life from gun violence, it’s worth it.” While that’s an amazingly ignorant, infantile, and even downright silly statement, it does neatly sum up a nanny-state philosophy that is fueling a nationwide assault on the second “shall not be infringed” amendment as well as law-abiding gun owners across the nation. Simple words printed on pieces of paper have indeed shown themselves to be far more dangerous than the mere possession of firearms by a certain percentage of a population. The advent of the printing press, and the technologies that evolved from it, facilitated the widespread distribution of controversial, violent, and often hateful concepts and ideologies. In the last century alone approximately 170 million people were killed because of the ideas outlined within just three books. The contents of Mao’s Little Red Book, Hitler’s Mein Kampf, and Marx and Engel’s The Communist Manifesto have been responsible for more repression, massacres, genocide, and cataclysmic warfare than all other theologies and ideologies from the beginning of time until now. In addition to the poison spread by the likes of Marx and Hitler, many other books and writings have also contributed to the deaths of countless human beings and to the rise of myriads of twisted cults and movements. The plethora of gullible, uneducated, mentally ill, opportunistic, and extremists among the general population has shown us that average citizens cannot be trusted with the often dangerous ideas that a book can provide without strict government regulation and control. Book registration and book-free zones make about as much sense as gun registration and gun-free zones. Both are equally ineffective deterrents when it comes to stopping psychopaths, violent criminals, and mass murderers. But such policies have shown themselves to be powerful weapons for governments to use against civilian populations. Especially when a government decides to start massively increasing its own power and control while at the same time restricting previously protected natural and constitutional rights. Registration inevitably leads to confiscation and that formula has been played out time after time in nation after nation. To pretend otherwise is mere historical ignorance or purposeful misdirection. For, in the end, if it’s truly just about “saving lives” with no consideration for liberty and individual rights then you might as well start by banning books as well as guns. For the 1st and 2nd amendments go hand in hand. The contents of each are equally potentially dangerous, and at the same time equally precious and important. And each relies upon the other for its existence in a truly free society. Such was the design incorporated into the foundation of our nation by the Founding Fathers. David Huntwork is a conservative activist, blogger, and columnist in Northern Colorado. He believes that Faith, Family, and Freedom is the formula for success and the key to a good life and a healthy nation. David blogs and is the editor for Constitutionclub.org. Tags: liberal thinking, books, liberal logic, registering books, satire, truth, Constitutional Republic, Constitution, protected rights, op-ed, David Huntwork To share or post to your site, click on "Post Link". Please mention / link to the ARRA News Service. Thanks! The State Department has released a draft environmental impact statement and found (again) that the Keystone XL pipeline is environmentally sound. Sean Hackbarth with the US. Chamber of Commerce noted,"The report also destroys a key talking point by anti-energy groups who argue that stopping the pipeline would stop crude from Canadian oil sands from coming to market. “[A]pproval or denial of the proposed Project is unlikely to have a substantial impact on the rate of development in the oil sands, or on the amount of heavy crude oil refined in the Gulf Coast area,” it reads. It goes on to state that, “If all pipeline capacity were restricted, oil sands production could decrease by approximately 2 to 4 percent by 2030.” Alternative methods of moving oil would be used. "Bill Smith, ARRA News, commented: "President Obama said he wanted more infrastructure projects available to create more jobs. Here is a real infrastructure project, adding over 20,000 direct high paying jobs and 100, 000 indirect jobs which will not cost the U.S. taxpayers a dime. In fact the program will via income taxes add funds to the treasury. 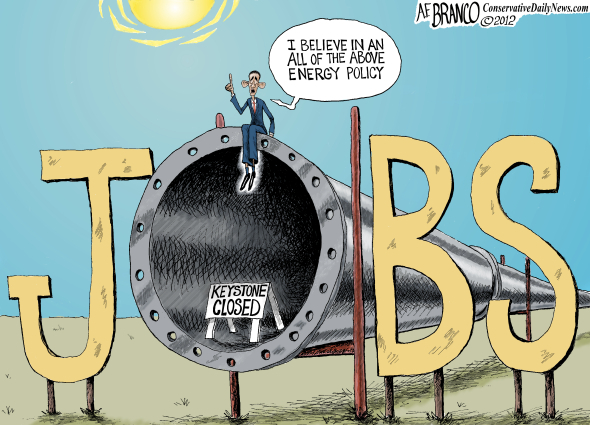 The only thing standing in the way of the XL Pipeline is President Obama's green energy agenda and his activist appointed leadership in the EPA." Tags: jobs, XL Pipeline, lower gas prices, stimulated economy, reduced dependence on the Middle East To share or post to your site, click on "Post Link". Please mention / link to the ARRA News Service. Thanks! by Michael Ricci: In this week’s Republican address, House Republican Conference Chair Cathy McMorris Rodgers (R-WA) says that our children’s future depends on our ability to tackle the nation’s spending problem, which is why it is disappointing that President Obama and his Democratic-run Senate failed to act to replace his sequester and instead insisted on more tax hikes to fund more government. This week’s address comes as new figures show the national debt has risen more than $6 trillion on the president’s watch. 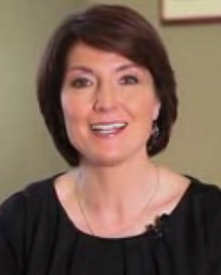 Tags: Representative, Cathy McMorris Rodgers, House Weekly Address, spending is the problem, government spending, cutting spending To share or post to your site, click on "Post Link". Please mention / link to the ARRA News Service. Thanks! Tags: Barack Obama, agenda, Lame-Duck Tape, 2nd Term, golf, lie, amnesty, tax, spend, vactions, cut military, blame GOP, ban guns, vacations, energy policy To share or post to your site, click on "Post Link". Please mention / link to the ARRA News Service. Thanks! Tags: Some sobering statistics To share or post to your site, click on "Post Link". Please mention / link to the ARRA News Service. Thanks! Public Notice: Out-of-control government spending has driven our country deeper into debt. Washington has been unable or unwilling to make the necessary spending cuts our country needs. Now, with sequestration spending cuts went into effect today, both parties are still calling foul. Some Democrats warn across the board cuts could put a fragile recovery in jeopardy. Some Republicans say the cuts to the Defense Department put the country’s security in jeopardy. 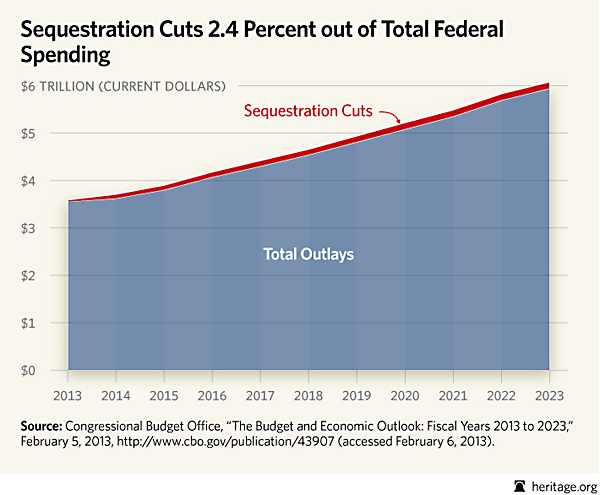 How big are the sequester spending cuts? Based on the government’s spending from last year, the sequester represents the government cutting just three cents for every dollar it spends. The sequester isn’t perfect because it cuts spending by a formula, and a formula isn’t able to respond to changing circumstances. But it’s a start because it finally cuts spending. Until Washington takes out the red pencil to make the hard choices by making specific and equal cuts to spending, the sequester should remain in place. We all recognize fiscal responsibility isn’t about gutting the essential services the government provides. It’s about finding and cutting inefficient, unnecessary, or duplicative programs. And there is plenty of waste in Washington. Sequestration was not intended to be the solution to our economic problems. It was put in place to incentivize the super committee to produce a substantive, actionable, bipartisan plan to reduce our long-term deficits as part of a deal to raise the nation’s debt ceiling in August 2011. Since then, we’ve had to raise the debt ceiling again. But we are still waiting for the cuts we were promised in August 2011. The cuts have been delayed once (the cuts were supposed to take effect on January 2, 2013) by Washington, and they shouldn’t be delayed again. Ultimately, the inability to prioritize and trim back just three percent of the federal government's annual budget is why we're still in this situation. Is cutting three cents on the dollar really as difficult as Washington says it is? It shouldn't be. Relying on automatic fixes like the sequester to seriously address budget problems is our leaders shrinking from generating real solutions. But we have to agree cuts must be made. Spending cuts are the only way to spur a sustained recovery and get the economy back on track. While the government can’t seem to find three percent of the budget to cut based on last year’s spending, we have found plenty examples of waste in many government programs. These programs, funded through the taxes of hardworking Americans, are further instances of government overspending and inefficiency. Waste and fraud in the healthcare system? Well, it’s true. The Federal Bureau of Investigation announced charges in 2012 for healthcare fraud that cost the federal government $450 million, according to the Wall Street Journal. In this instance, 107 people around the country were charged for their efforts to defraud Medicare, wasting millions of government funds in fraudulent payments. These are only a few examples of waste in the federal government, waste that needs to be cut, because the reality is we have to cut spending. Americans know this. But up until now, Washington has been unwilling to make these necessary cuts. Tags: public notice, sequester, government, wasteful spending To share or post to your site, click on "Post Link". Please mention / link to the ARRA News Service. Thanks! Congratulations, You Survived The Sequester! 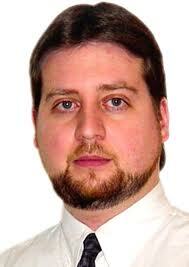 Robert Romano: Despite sequestration, the sun rose and will set. Schools opened as scheduled. Children were still picked up and dropped off by buses. Hospitals, police, and firefighters all remained on call should the need arise. Planes did not fall out of the sky. The roads we travel did not disintegrate. Trash continued to be collected. The borders and coasts were still patrolled. There was no massive prison breakout. Agencies all opened and closed on time. Overseas, military operations proceeded as planned. Seniors’ Social Security and Medicare benefits continued without interruption. So did food stamps, unemployment and Medicaid. Remarkable . . . on March 1, the government cut a mere 1.5% of the $3.538 trillion budget. To hear Obama tell it, March 1 was judgment day. The seas should have boiled. The skies should have fallen. They didn’t! by Adam Bitely: If you are reading this, you have survived sequestration. The world didn’t end. Food is still safe to eat. Planes are landing safely on runways. Invading armies are not storming our shores. And life is continuing on normally just as it was yesterday. This fact must be making the heads of Washington, D.C. politicians explode. For all the rhetoric that had been thrown around about the impending doom that the nation faced, nothing disastrous has happened. The sequester was simply a reduction of one dollar from every six dollars of spending increases to discretionary spending since 2008. The government will spend more money next year than it does this year. The sequester was merely a microscopic reduction in spending growth rates. But the facts never mattered to the politicians. In fact, many of them forgot their own statements from the times when they supported the sequester. That’s right. Many of the people bemoaning the sequester previously supported it. In the aftermath of the passage of the debt ceiling increase in August of 2011 that resulted in the sequestration, House Speaker John Boehner told CBS news that he got 98 percent of what he wanted in the debt deal. In November 2011, Obama told the media that he would veto efforts to stop the sequester. Clearly the sequester is not as bad as these people advertised in the run-up to today. For too long politicians have been able to get away with making absurd claims to the media about the impending doom of a cut to government spending. The fact that we are all alive and well today proves that you can cut government and that it will not result in the end of the world. The theatrical renditions of Chicken Little that we have all been subjected to by John Boehner and Barack Obama have proven to be exactly what they were—theatrical performances. Adam Bitely is the Editor-in-Chief of NetRightDaily where he first posted this article and works for Americans For Limited Government. Tags: Survived the sequester, sequester, Adam Bitely To share or post to your site, click on "Post Link". Please mention / link to the ARRA News Service. Thanks! 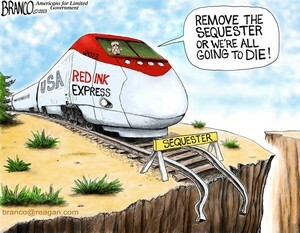 House Speaker John Boehner (R-OH) released the following statement today after the Democratic-controlled Senate failed to pass legislation replacing President Obama’s sequester:“It’s embarrassing that after 15 months Senate Democrats still haven’t passed a single sequester replacement bill. The American people deserve better. Republicans in the House passed legislation almost a year ago in May, and again in December, to avert the president’s sequester and help put us on a path to a balanced budget. Now that today’s political stunt to raise taxes has failed, it’s time for the president and Senate Democrats to do the hard work that is necessary to pass a bill in the Senate so we can begin to resolve this issue.”And today, democrat leaders continue to promote the Rising Red Tide by arguing that cutting spending and wasteful programs, i.e., stopping the rising of the red tide, will not solve the government's problem. Senate Leader Harry Reid (D-NV) wants more revenue to spend. The Reid Insanity continues. 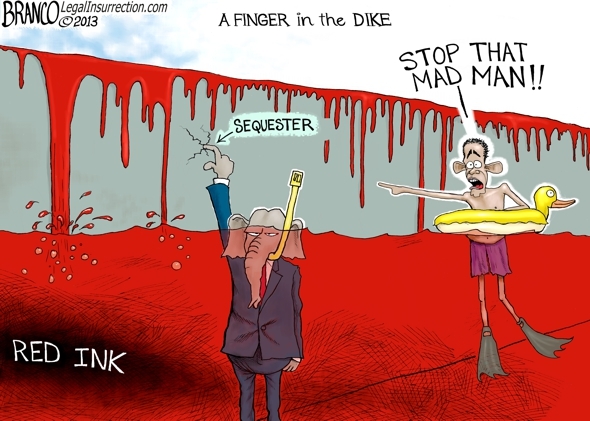 Tags: debt, government spending, Red Tide Rising, Harry Reid, The Reid Insanity, Editorial cartoon, AF Branco To share or post to your site, click on "Post Link". Please mention / link to the ARRA News Service. Thanks! 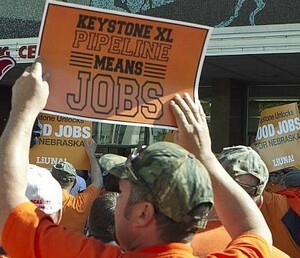 Tags: job groups, sequester, tax hikes To share or post to your site, click on "Post Link". Please mention / link to the ARRA News Service. Thanks! 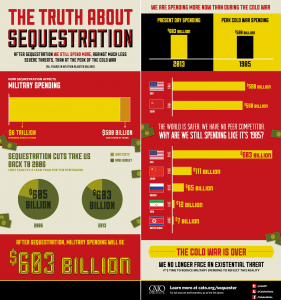 Is Sequestration As Bad As President Obama Would Have You Believe? Editor's note: I agree with the following article. However, it does not consider the intentions of warped minded leadership. If the leadership of our country is willing to deliberately defy reality or even to op for crashing the system for their own personal agenda, we are in deep trouble. Currently, reports are coming out of the DOD organizations by civilians that they have been told they will be going to a 4 day week and will be paid only for 4 days. Thus they will be faced with a 20 percent reduction in pay and benefits which is far more than expected from sequestration. The same is expected to happen in other agencies. It appears that the "community organizer" president would rather shut down needed services like defense, border security, etc. rather than to defund Acorn like projects, PBS, abortions with federal money, grants to slanderous projects, airport groping of children and grandmas, slanderous sensitivity training, etc. He has already evidence a willingness to politicize the process, slander other elected officials, and endanger critically needed government services verses the elimination government fraud, waste, abuse and unneeded programs. 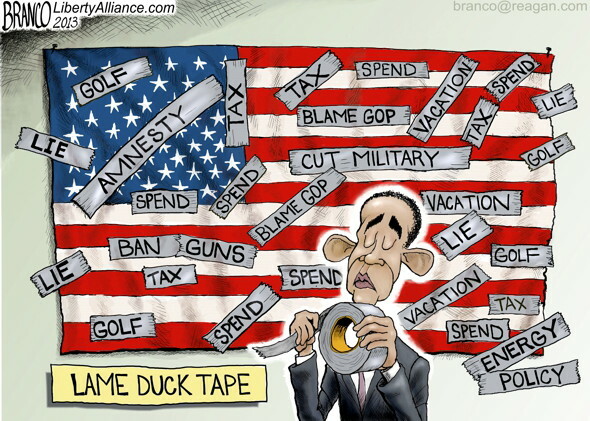 If concerned government spending and about America, he would lead by example in getting spending under control. He could begin by reducing his own White House staff and various appointed advisors used to pressure appointed officials and government employees. He could reduce self-aggrandized trips and vacations. America did not elect a king, nor do we need one. We expect to have a citizen president who serves America and not his own agenda or those of other countries or organizations. At the moment, our American constitutional expectations may be in conflict with the reality of the agenda and personality of the current president. by Vincent Zafonte, Heritage Foundation: The debate in Washington this week has focused on the mandatory spending cuts, known as sequestration, that go into effect Friday. To hear the media and the White House describe it, the cuts will be “massive.” But are these cuts really that massive? No. “Federal spending will explode from $3.6 trillion to $6 trillion over the next 10 years, but the much-maligned sequester will cut only 2.4 percent of this spending,” The Heritage Foundation’s T. Elliot Gaiser explains. sequestration leaves the largest component of federal spending—entitlements—nearly untouched. Instead, it falls most heavily on national defense, with 50 percent of sequestration cuts impacting national security. Thirty-five percent would impact non-defense discretionary spending. Less than 15 percent would fall on mandatory spending, which consumes 62 percent of the federal budget. 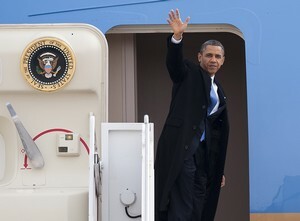 President Obama claims that unless Congress raises taxes to undo the imminent automatic budget cuts known as sequestration, the Transportation Security Administration (TSA) would be forced to reduce security measures, leaving travelers and the airways vulnerable and increasing wait times at airports. Washington has not spent federal taxpayer money judiciously on education. Real education reform would save billions of dollars, while improving children’s educational opportunities by empowering states and parents. National defense, unlike most other discretionary programs, is a central constitutional duty and today represents only 17 percent of the budget. Yet nearly half of the Congress-mandated sequestration cuts—$492 billion—would come from defense. These across-the-board cuts threaten our nation’s defense capability. It would be better to replace them with smarter cuts, but the reality is that Washington has to start cutting spending now. Real program reforms and a balanced budget are the only way to solve our continuing fiscal crises. So it is critical that Congress keep its word and follow through on these spending cuts to prove it is serious about bringing our budget into balance over the next 10 years. Tags: President Obama, sequester, shutdowns, the reality To share or post to your site, click on "Post Link". Please mention / link to the ARRA News Service. Thanks! by Learn Liberty : The common explanation for rising gas prices makes an exciting news story: Villainous oil companies are taking advantage of helpless consumers. Prof. Art Carden explains that this popular story is inaccurate. Gas prices go up and down based on the laws of supply and demand. Political problems, such as barriers to the development of new sources and new energy sources, also contribute to rising prices. Gas prices would be lower if we didn't have such barriers. Prices would also be lower if demand were not artificially increased through war and other wasteful expenditures. Tags: Gas Prices, supply and demand, supply, demand. basic economics, government interference, To share or post to your site, click on "Post Link". Please mention / link to the ARRA News Service. Thanks! by Ralph Benko, Contributing Author: Recently, in the offices of the Mayor of the city of Nablus, Palestine, the missing pieces that would permit a just and lasting peace in the Middle East to flourish may have been presented. If harmony can be restored (as it can) within the social fabric that underlies the political fabric, peace finally becomes a possibility. If women, who are respected, not marginalized, in Palestinian and Israeli society will take center stage a fundamental rapprochement can be effected. Might this happen? On February 14th, an American resident of Israel, Sharon Sullivan, who leads a gallant, if tiny, new group called “the Fellowship of Mothers” met with nine Palestinian women leaders under the generous auspices of Ghassan W. Shakaa, Mayor of Nablus, and Benyamim and Yefet Tsedaka, two social leaders of the Israelite-Samaritan community, and three members of the Samaritan Committee of the Mount Gerizim Community over Nablus. The meeting was led by Third Deputy Mayor Rima M. Zeid Al-Keilani. This is not just one more story of an admirable but marginal “women for peace” movement. This is “women for harmony,” a subtle but profound distinction. The Fellowship of Mothers, while tiny, is possessed of an extraordinarily powerful narrative. The essence of the genius of the tiny Fellowship of Mothers is that peace is an outcome, not an input. Peace is the natural state resulting from social harmony. And social harmony comes from a high social rapport … which can be established. While not implying that any political changes are in order — assuredly that would be premature, political structures typically following, rather than leading, the social consensus — it should be obvious by now that it is impossible to impose peace diplomatically — whether from the United Nations, or Washington, London, Moscow, or Oslo — or politically … from Jerusalem (known by the Arab branch of this family as Al Quds) — the capital both of Israel and Palestine. We now have not peace but an uneasy truce. Peace can no more be forced to flower than a flower can be forced to blossom. Peace only can be, yet will be, an outcome of social harmony. Men, intrinsically more bellicose than women, have failed to deliver it. People who authentically like and respect one another can work through any problem. Antagonists, however, always will find a pretext for fighting. Only women, and, especially, mothers (such as Sullivan), have the discernment and innate authority to create, indeed insist upon, mutual respect and, with it, social harmony. So the missing piece for Peace: resolve the underlying cause of strife rather than tussling with the symptoms. This calls for effecting a “family reconciliation” leading to vibrant social harmony. To accomplish this requires the formal recognition of the unique, and necessary, exercise of authority by women. Men have failed, for almost 4,000 years, to effect harmony between the descendants of two of the sons of the same great-grandfather, their mutual Patriarch, Abraham. Time for the daughters of Abraham to take on the responsibility and assert their authority. Mayor Shakaa, himself a holder of the Samaritan Medal of Peace (2006), courageously organized for Sullivan the opportunity to meet with nine social lionesses of Nablus, among them Miriam Altif, an Israelite Samaritan. It took courage for Sullivan to accept this invitation. The trip from Jerusalem to Nablus is not for the faint of heart. Sullivan was accompanied only by her doughty Israeli fiancée, Haimon Eretz, and by Daniel Estrin, an AP reporter and Sullivan’s friend. She was received in Nablus by, in addition to her Palestinian hosts, a delegation of Israelite-Samaritans from their nearby Mountain of Blessings community, Kiryat Luza. There is authentic historic significance to the presence of the Samaritans, the descendants of the northern Israelite tribes. Few are unfamiliar with the parable, told by Jesus, of the “Good Samaritan.” Far fewer know who the Samaritans are: the authentic representatives of the famed legendary “Lost Tribes of Israel” … who staged a tax revolt upon the death of Solomon. Solomon’s son, as recorded in the Biblical books of Kings and Chronicles, ascending to power, confronted a very Tea-Party-like revolt by the ten northern tribes of the Kingdom against the crushing taxes imposed by King Solomon. Solomon’s successor to the throne contemptuously ignored pleas for a tax cut and, instead, raised taxes. This precipitated secession by the ten northern tribes, who created the Kingdom of Israel centered in the land of Samaria. When, later, this nation fell to invaders its people became known as “Samaritans,” or, more accurately, the Israelite Samaritans. Fewer still are aware that a modest, fascinating, community of Samaritans lives on to this day. Mark Twain meeting a Samaritan elder wrote of the experience, in The Innocents Abroad, as to have been “just as one would stare at a living mastodon.” There are, as of this writing, 754 Israelite Samaritans. Almost half reside in Palestine and the balance live in Israel. The Israelite Samaritans live meticulously according to millennia-old Biblical traditions. Their High Priest Aaron b. Ab-Hisda b. High Priest Jacob, is the 132nd lineal descendent of Aaron, the brother of Moses. Yes, Moses’s blood great-grandnephew is alive and well. Of key importance, this tiny noble community lives on terms of harmony and mutual respect with both the Arabs and the Israelis — possessing dual citizenship. The Mountain of Blessings, of Biblical fame, has given the world not just a “Good Samaritan” but four clans who might be called great Samaritans: Cohen, Tsedaka, Danfi, and Marhib. The Samaritans, as thoughtfully described by writer Benjamin Balint in Tablet Magazine, tend toward insularity. One of their social leaders, the scholarly Benyamim Tsedaka, publisher of the A-B Samaritan News, translator and editor, with co-editor Ms. Sullivan, of the first English translation of the Israelite Samaritan version of the Holy Scriptures, however, is internationally celebrated. This Great Israelite Samaritan, Tsedaka, over the last three decades, has made an annual international goodwill tour to many of the capitals, and leading cities, of the world. During one of his goodwill tours, seven years ago, this columnist established an enduring personal friendship with Tsedaka and, later, was given the honor of serving, along with Sullivan, among others, on the board of the Samaritan Medal Foundation that Tsedaka founded and chairs. This body grants medals for Peace, humanitarian achievement, and scholarly studies. The Fellowship works inside the halo of moral authority of the only authentic Biblical Samaritans. Tsedaka, thus, is the moral godfather of the Fellowship of Mothers. It is early in the process. But the tea party in the office of the Nablus Mayor reportedly was electric. Sullivan:“Each woman introduced herself and told a bit of her background in business, mothering, peacemaking (and in one case – prison). Yes, we had among us a Palestinian woman who had been released in a prisoner exchange between Israelis and Palestinians. “Haimon talked (as the only Israeli there — non-Samaritan — which was a big deal to the group of women there). Haimon’s opening line was ‘I look around and I see family. Look at us. We all look alike. One is no different than the other.’ It was sweet. He spoke of his Grandfather who was born in Gaza, long before this conflict began, to which women from Palestine exclaimed ‘You’re Palestinian!’”The Fellowship of Mothers, like the Samaritan people, is a small group with a powerful narrative and a big commitment. And as Margaret Mead said, “Never doubt that a small group of thoughtful, committed, citizens can change the world. Indeed, it is the only thing that ever has.” May the women of Palestine and Israel now assert, under the auspices of the noble Israelite Samaritans, their authority, bring about this family reconciliation, restore social harmony, and, with harmony firmly established, show the whole world how a just and lasting peace really blossoms. Tags: Israel, Middle East, true peace, women, must take center stage To share or post to your site, click on "Post Link". Please mention / link to the ARRA News Service. Thanks! This morning the Senate began debate on the nomination of Jack Lew to be Secretary of the Treasury. They then confirmed Lew 71-26. Last night, Senate Majority Leader Harry Reid (D-NV) filed cloture on the motion to proceed to S. 388, Democrats’ bill to replace the sequester that’s loaded with tax hikes. A vote on cloture on the motion to proceed is expected tomorrow. Yesterday, the Senate voted 58-41 to confirm former Sen. Chuck Hagel of Nebraska to be Secretary of Defense. 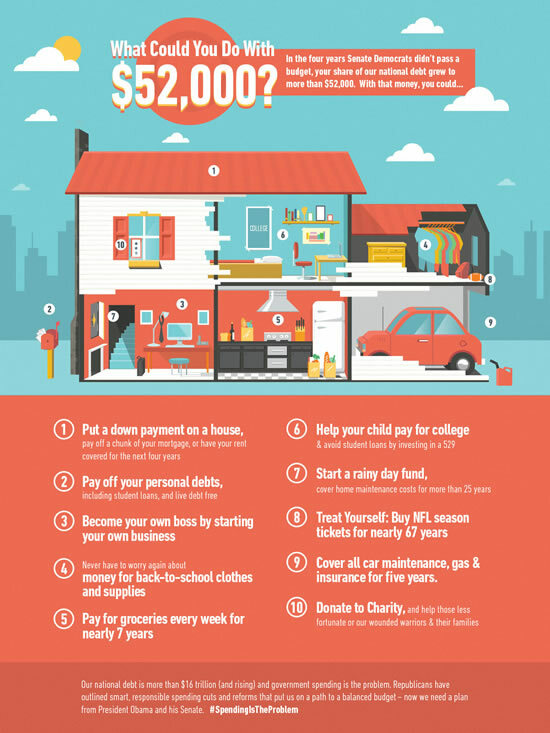 What Could You Do With Your $52K Share of the National Debt? In other words, despite their rhetoric, the president and Senate Democrats have done nothing about the sequester for over a year, have proposed no ideas to cut the same amount of money in a smarter way, and are now asking to meet only after the cuts they say they dislike so much will have begun. Tags: spending, government waste, sequestration, the economy, President Obama, Senate Democrats, confirmation, Chuck Hagel, Secretary of DOD, Jack Lew, Secretary of Treasury To share or post to your site, click on "Post Link". Please mention / link to the ARRA News Service. Thanks! Is the sequester a big deal? Dr. Bill Smith, Editor: In full disclosure, I have financially supported Point of View for many years. With all the my activist activities, political efforts, helping conservatives, and seeking to help keep others informed on the critical issues, I seldom if ever relax and listen to the Point Of View radio show. However, because they established trust with me many years ago when my wife and I, like many of you, were not caught up in the discussions and battles for liberty and freedom and the concerns of expanding government, I continue to trust them. Therefore, I was most pleased to receive the following from Warren Kelley. His sharing truth about the sequester and government spending with their many Point of View listeners and readers was worth sharing with you. The citizens of America do not need to be stampeded into supporting the continuance of growing spending and continuing programs or adding more programs, agencies etc. which we neither need nor should we in-debt our grandchildren and their children. And your representatives and senators need to know how you feel about this. No threats - just truth. Thank you Warren Kelley for allowing the Point of View Ministries to go where many ministries will not go and to speak out on this and many other issues that affect not only Christian families but all Americans. Warren Kelley, President, Point of View Ministries: On February 19th, President Obama spoke about the sequester standing in front of more than a dozen emergency responders in crisp blue uniforms. He announced, "Emergency responders like the ones who are here today, their ability to help communities respond to and recover from disasters will be degraded. Border Patrol agents will see their hours reduced. FBI agents will be furloughed. Federal prosecutors will have to close cases and let criminals go." As if that weren’t enough to terrify his audience, the President continued, "Air traffic controllers and airport security will see cutbacks, which means more delays at airports across the country," he said. "Thousands of teachers and educators will be laid off. Tens of thousands of parents will have to scramble to find child care for their kids. Hundreds of thousands of Americans will lose access to primary care and preventive care like flu vaccinations and cancer screenings." He then leveled a stiff accusation at Republican lawmakers, "Are you willing to see a bunch of first responders lose their job because you want to protect some special interest tax loophole?" So, will the sequester, as President Obama has said, “eviscerate” government programs? As the graph on the right shows, these cuts represent a tiny amount compared to total government spending, 2.3% to be precise. If the company you work for announced that business was down because of the current state of the economy and was implementing an across the board cut of 2.3% of everyone’s salary, would that “eviscerate” your ability to pay your bills? Would it have “devastating” consequences for your family? Yesterday, just three days before the scheduled start of the sequester, President Obama chose not to meet with lawmakers to find a solution to what he has painted as a monumental problem. Instead he traveled to a Virginia shipyard where he told a crowd, “I'm not interested in spin. I'm not interested in playing a blame game. At this point, all I'm interested in is solving problems." He told the crowd the coming cuts known as the sequester are a “dumb way to do things,” neglecting to mention that the idea came from his administration in the first place. The President warned the crowd that the effects of the sequester won’t be felt overnight, but will become more real the longer they are allowed to stay in place, referencing the total $1.2 trillion in cuts that will be implemented over a ten year period. The chart below shows that the cuts continue to be a small percentage of the overall budget and that spending will continue to increase at a much faster rate than it will be cut. The cuts are not cuts in spending but rather are cuts in the increase in spending. At the same time the administration is complaining about the damage $85 billion in cuts will do to the government, a government report came out with the finding that $115 billion was spent in improper overpayments. Congress has begun hearings to look into this waste and believes that the number could actually be much higher. Perhaps more effort should be going into making sure the dollars our government spends aren’t wasted due to poor oversight. A recent Rasmussen poll of voters found that 46% want the government to cut spending and another 41% want the government to cut spending in conjunction with tax increases. That means, in one form or fashion, 87% of voters want the government to cut spending. Please contact your representative and both of your senators and urge them to deal with our financial problems by cutting spending. You can easily email all three at the same time through our Take Action Central page online. It will only take a few minutes of your time and will make an impact on this national debate. Once you have emailed your elected official, encourage your friends to do the same. It’s a quick easy process that can make a real difference for the future of our nation. Tags: the sequester, facts, reality, truth, action item, contact your senators and representative, Point of View To share or post to your site, click on "Post Link". Please mention / link to the ARRA News Service. Thanks! by Amy Payne, Heritage Foundation: To understand what’s going on in the Supreme Court today, we have to go back in time. The year was 1965. Hundreds of people gathered in Selma, Alabama, to march for black Americans’ right to vote. Some states, especially in the South, had set up obstacles to voting, such as charging would-be voters money or making them take a test. Millions of Americans are denied the right to vote because of their color. This law will ensure them the right to vote. The wrong is one which no American, in his heart, can justify. The right is one which no American, true to our principles, can deny. Congress ensured that states could not get around the new law by coming up with more changes to local voting rules. For those areas that had historically discriminated against people, the law required that they check with the feds before making changes to their voting practices. This part of the law is called Section 5. The problem is, that federal intervention continues to this day. And that is what the Supreme Court is considering today—the outdated Section 5, not the whole Voting Rights Act. The Voting Rights Act provides “broad and powerful protection against discrimination,” explains Heritage’s Hans von Spakovsky, a former Counsel to the Assistant Attorney General for Civil Rights. Regardless of the Supreme Court’s take on Section 5, the Voting Rights Act remains in effect to protect all Americans from voter discrimination. [Section 5] effectively presumes that all voting-related actions by certain states and jurisdictions are discriminatory and therefore requires that they obtain pre-approval from the federal government for otherwise ordinary and routine actions, such as moving a polling station from a school that is under renovation to another one down the street or drawing new redistricting plans. This is a major and unusual imposition on state sovereignty. What was originally intended to safeguard individual liberty has become a way for the feds to attack state liberty. For the Department of Justice and many activists, Section 5 merely exists to bully local authorities. Today, the Supreme Court will hear arguments in Shelby County (AL) v. Holder, the case raising the question of Section 5’s constitutionality. The case doesn’t threaten anyone’s right to vote; it deals with an outdated provision that is no longer necessary—and in fact has become an unwarranted federal intrusion into local practices. Amy Payne is Assistant Director of Strategic Communications at The Heritage Foundation. In that capacity, Amy serves as Managing Editor of The Foundry. Tags: Alabama, Civil Rights, constitution, constitutionality, Department of Justice, discrimination, Hans von Spakovsky, Lyndon B. Johnson, Morning Bell, states, supreme court, Video, voters, voting, voting rights, Voting Rights Act To share or post to your site, click on "Post Link". Please mention / link to the ARRA News Service. Thanks! WASHINGTON, D.C. – As Americans mark the 1,400th day since the Democrat-led Senate passed a federal budget, Senate Republicans launched a new website, “Pass A Senate Budget,” calling on the Senate Majority Leaders to do their job and propose a responsible economic blueprint. The new microsite features a number of resources for Americans to tell Senate Democrats we need a plan to rein in Washington’s reckless spending. 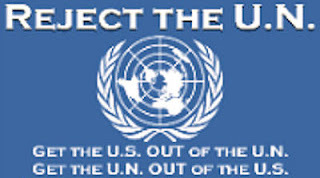 Tags: 1400 days, U.S. Senate, democrats, no budget To share or post to your site, click on "Post Link". Please mention / link to the ARRA News Service. Thanks! Washington, D.C. - House Republican Study Committee Chairman Steve Scalise today released the following statement after President Obama’s speech in Newport News, Virginia.“President Obama has reached a new low by using our military, first responders, food inspectors, and school teachers as shields to hide his continued wasteful government spending that has exploded over the last four years,” Scalise said. “The president needs to park Air Force One, abandon his sequester fear-mongering tour, and return to his job in Washington to actually work with us to cut the waste and finally get Washington to start living within its means. Tags: Republican Study Committee ,Steve Scalise, President Obama, Park Air Force One To share or post to your site, click on "Post Link". Please mention / link to the ARRA News Service. Thanks! The Senate voted to end debate (71-27) today on President Obama's nomination of Chuck Hagel to be the secretary of Defense. The vote for confirmation only requires a simple majority and is scheduled for 4:30 p.m. God help our military and the security of our country! Yesterday, the Senate voted 93-0 to confirm Robert E. Bacharach to be United States Circuit Judge for the Tenth Circuit. The House is in session and dealing with some internal House rules and committee issues. Yesterday the House voted 394-0 to To redesignate the Dryden Flight Research Center as the Neil A. Armstrong Flight Research Center and the Western Aeronautical Test Range as the Hugh L. Dryden Aeronautical Test Range. At a press conference with Republican leaders today, House Speaker John Boehner (R-OH) called on the president to stop using the military as a campaign prop to demand more tax hikes and start working with his own Democratic-controlled Senate to act on a credible plan to avert his sequester. Instead of finding a way to replace his sequester with smarter spending cuts and reforms, CNN says President Obama is holding campaign-style rallies to “inspire public outrage.” Unfortunately for the White House, the gimmick isn’t playing well in Newport News, VA where the president will be today. A civilian working for the military has confirmed to this editor that they have been advised that they will be reduced from 5 to 4 days a week with no pay or leave time allowed to cover the lost day of pay. This is a 20% pay cut. The President has not taken action to agree with the House to exercise smart cuts to achieve the reduction verses laying off civilians employees across the board. So far, the President while spending money flying around on Air Force One for dubious reasons has showed little effort to cooperate and reduce wasteful spending. After weeks of dissembling from the White House, more reporters are beginning to call out President Obama for his misrepresentations and scare tactics involving the sequester. Tags: US House, US Senate, Chuck Hagal, DOD, Sequester, President Obama, Washington, Red Ink Express To share or post to your site, click on "Post Link". Please mention / link to the ARRA News Service. Thanks!